CENTRAL POINT, Ore. — The Oregon Department of Fish and Wildlife says Oregon’s wolf population is up 10 percent in the last year. It’s one of the reasons the department is updating the state’s wolf management plan and proposing new rules for when wolves can be killed for preying on livestock. The plan was created back in 2005 and revised in 2010. Its goal has remained the same: to conserve the population of gray wolves along with the social and economic interests of Oregonians. However, there are some proposed changes. The old plan allowed for lethal action against wolves after there were two, confirmed wolf attacks on livestock. That’s commonly called depredation. Now, the plan re-defines chronic depredation as having two attacks take place within a 9 month period. “Unfortunately, in Jackson County and in Klamath County the Rogue Pack has really found a way to kill cattle and we have seen quite an increase over 2018 in the amount of animals the Rogue Pack is responsible for killing,” said Steve Niemela, ODFW. 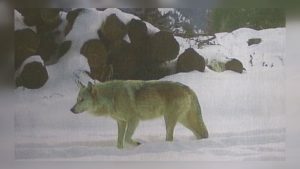 ODFW says it expects the wolf population in Klamath and Jackson Counties to continue growing, eventually making their way into the Central Oregon Cascade Mountains. The Fish and Wildlife Commission will be voting on the plan in early June. To check out a full draft of the plan, click here.